At a recent Continuing Education event, the instructor asked us to think of an image that best summed up our understanding of Jesus. Many reached back to their childhood days in little country churches where they remembered specific pictures that hung in the sanctuary or a Sunday school classroom. 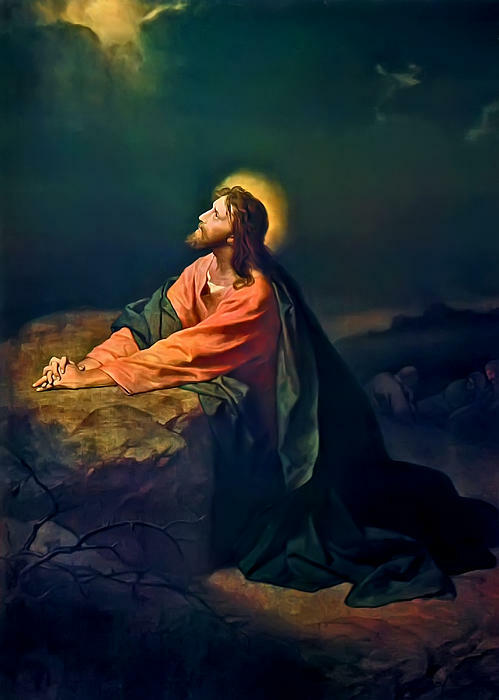 I thought about the picture of Jesus praying in the Garden of Gethsemane that hung on the side wall of my little United Methodist Church in Hillsville. In this picture, which I looked at for 20 plus years, I see the agony on the face of our Savior as he kneels in prayer just hours before the horrific events of what we call Holy Week. In his anguish, we get a glimpse of his love and the lengths Jesus is willing to go to save us. Another man said it was a picture of Jesus calming the storm. 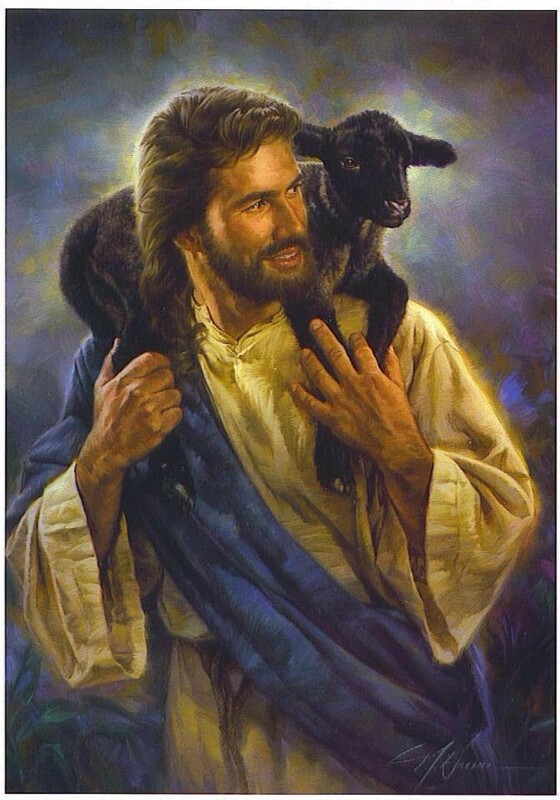 For another, it was a picture of Jesus with many sheep surrounding him. Someone else reported it was the picture of Jesus with a little sheep around his shoulders. What’s not to love about a soft, cuddly lamb? We all agreed that it was this picture of Jesus, who recklessly leaves the 99 to go look for that one lost little lamb, that gives evidence that it is Jesus’ desire to not lose even one of his little sheep. “I grew up in Scotland with sheep all around me, field after field of white wool and incessant crying echoing throughout pastures. Of all the lessons I have learned from these defenseless, gentle animals, the most profound is the most painful. Every now and then, a ewe will give birth to a lamb and immediately reject it. Sometimes the lamb is rejected because it is one of twins and the mother doesn’t have enough milk, or she is old and, frankly, quite tired of the whole business. If the lamb is returned to the ewe, the mother may even kick the poor animal away. The first to run to him are the bummer lambs, because they know his voice. It’s not that they are more loved; it’s just that they believe it. 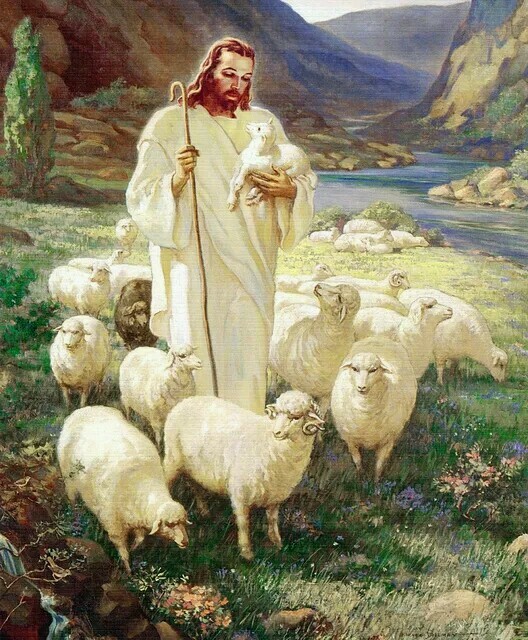 I am so grateful that Christ calls Himself the Good Shepherd. I am a bummer lamb. Chances are you are too. I’ve come to accept the fact that I’ll be broken as long as I’m on this earth. I used to think that at some point, God would fix me, and my testimony would be a great story for other people. I don’t think that will be true anymore. And I’m at peace. I think most of us will carry with us the reminders of being broken. We bear scars from a painful divorce, the loss of a loved one, the grip of addiction, the negative report from the doctor. Oh, God will help and strengthen us in the process. We will learn a lot more. And we’ll have a greater understanding and empathy for each other because of it. But until we see Jesus face-to-face, we’ll be broken. But this is no longer the bad news; it’s the best news! Do you know the sound of his voice as he calls you by name?